Nonetheless the voice of reason for an entire generation, Mr Judt remained a teacher of history first. The writing of books, essays, and commentaries appeared further down the list of priorities. 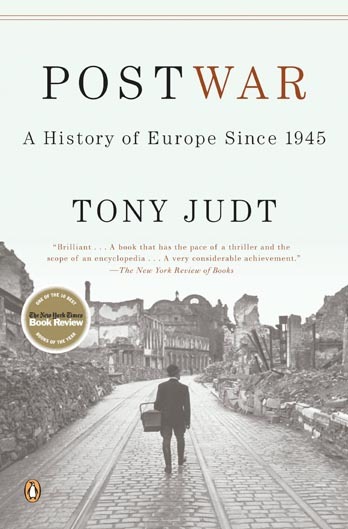 Originally a specialist in French history, Mr Judt’s broadened the scope of his research and in 2005 produced Postwar: A History of Europe Since 1945 which was promptly branded a masterwork. The book, of encyclopaedic proportions, traces the rise of the European Union and the demise of communism. In this, Mr Judt offers the readers a narrative that includes both halves of the previously divided continent and includes coverage of key events in the oft-overlooked minor powers. Mr Judt warns that if World War II indeed holds moral lessons, these “need to be taught afresh with each passing generation.” He further argues, convincingly, that the European Union may indeed be an answer to history, but cannot ever be a substitute for it.